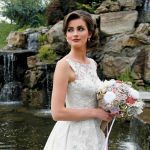 “Working with everyone at Falkirk Estate was like a dream.” says recently married Falkirk bride Alexa Spinelli-Brigante. 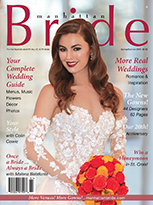 “They made planning my wedding so simple and such a delight. Obviously, my father, who is director of catering at Falkirk, took on most of the work. He’s been in this business for many years and makes it all look so easy. 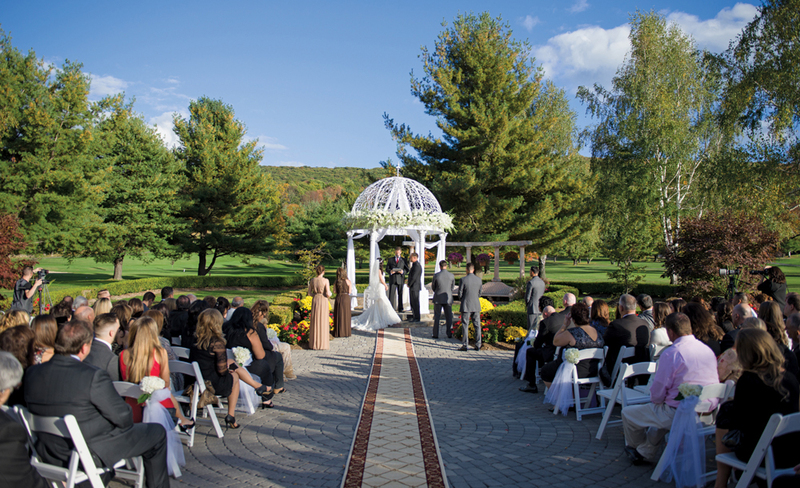 Alexa wanted a fall wedding with the crisp chill of the air and the season’s colorful foliage. “Falkirk is a great place for a fall wedding in particular, because the views on the patio where we got married are simply breathtaking. The venue sits on the golf course and leaves on all the tress surrounding the venue had turned shades of orange and yellow. 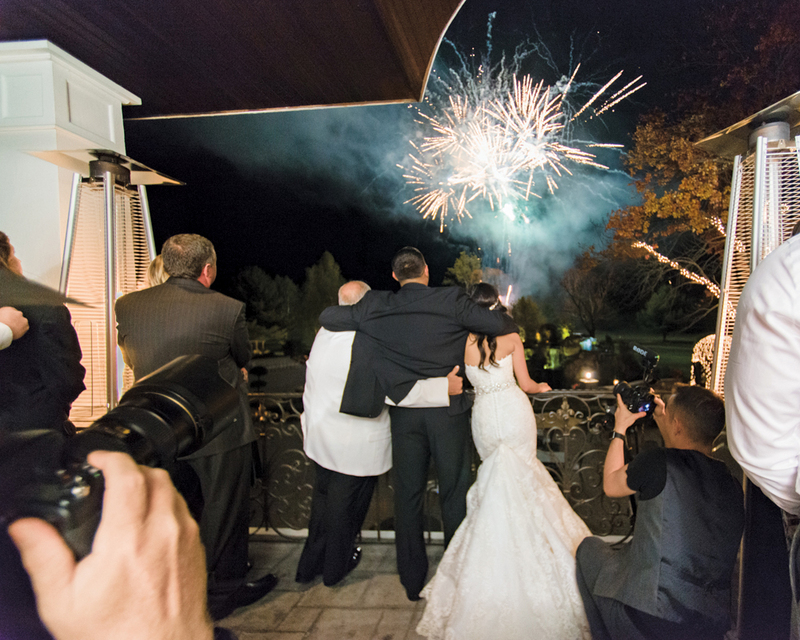 “Having done weddings for 35 years,” says Tommy Spinelli, general manager and director of catering at Falkirk Estate & Country Club, “I wanted to create a couple of unique surprises for Alexa and Russ. "I believe in doing things that are elegant, but with a big wow factor. 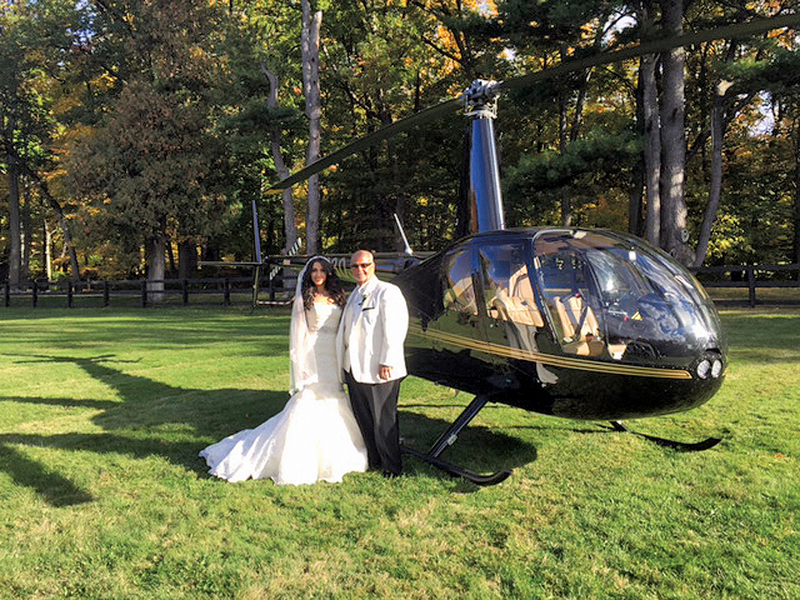 The helicopter was a wonderful way to kick off an amazing wedding. 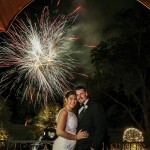 “I wanted to also end in an equally memorable way, with a fireworks display by July 4 Ever Fireworks while Whitney Houston’s ‘One Moment in Time’ played as the soundtrack. The cigar rolling bar was also a fun surprise for my son-in-law at the after-party. Alexa and Russ had a simple color palette of creams, taupes, and browns. “The ballroom was uplit in white lighting and the tables had chocolate brown satin tablecloths, napkins, and chair sashes, which we accented with gold mercury glass votives. They also had a seafood station with jumbo shrimp cocktail and blue stone crab claws and a carving station with rosemary-encrusted rack of lamb and roast duck breast. The centerpiece of the cocktail hour was a bountiful Tuscan antipasto table, with Italian favorites like prosciutto di parma and parmigiano reggiano. Desserts included a four-tier wedding cake from A Little Cake with a delicious cannoli cream filling. We also did our dessert tower for each table which included cannolis, miniature cheesecakes, and assorted macaroons and shot glass desserts. There was even a gelato bar with toppings and a homemade zeppole station.